Your health and well-being is always our top priority. 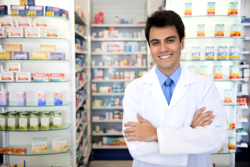 Located at Sarasota, Florida, Sun Discount Pharmacy is here to provide all of your pharmaceutical needs. Moreover, we make sure to provide efficient and fast services in response to your needs. Patients who need over-the-counter (OTC) medications intended to treat common ailments or conditions like the flu, cough, and colds. Patients who are looking to stay healthy by regularly taking vitamins and food supplements. Patients who are seeking professional pharmacist consultations. Patients who are looking for reliable, safe, and affordable medications. Lastly, when you visit our store, we assure you that you will be met with professional and friendly staff dedicated to providing you with the services and products that you need. At Sun Discount Pharmacy, we have a strict no discrimination policy. . In observance of Title VI of the Civil Rights Act of 1964, Title II of the Americans with Disabilities Act of 1990 and the Age Discrimination Act of 1975, we do not discriminate nor shall we deny services from any individual employee or client on the grounds of sexual orientation, disability, national origin, color, gender, race, religion, or age.